It’s this one, right? Bootleg Ina Garten? This wannabe even has her husband on her show just like Ina and Jeffrey! Her recipes are crap, her barn house is crap, and even her laugh is crap. The NERVE of this poser. 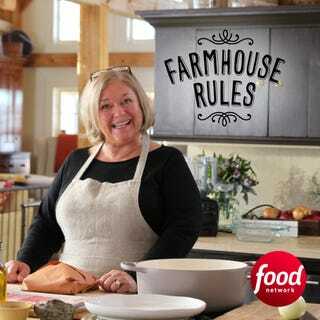 I’m home sick and watching noxious variations of country home cooking all day but this woman enrages me. Make a compelling case for her show and I’ll write you a poem. ClashTalk Lunch Poll: Why Are You Smiling?